Microsoft has confirmed that the entry-level Xbox 360 will be cut in price in the UK to just £129.99, confirming last week's leak. A picture from Woolworth's pretty much told the world that the UK would be getting Xbox consoles at lower price points, but Microsoft has confirmed that this is the case with an official statement. From Friday September 19, an Xbox 360 Arcade (without hard drive) will cost £129.99, the Xbox 360 Premium (with a 60GB hard-drive) will sell for £169.99 and the flagship Elite will retail for £229.99. 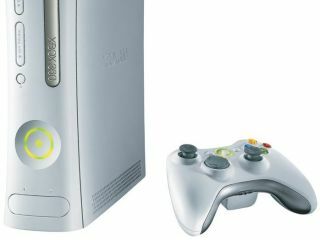 "It's now possible to pick up an Xbox 360 with Grand Theft Auto 4 and Halo 3for the same price as a Wii and Wii Sports," notes Michael Gapper, Staff Writer over on Xbox World 360 magazine. "£130 is an incredible price point, but as ever, it's the hard drive-equipped version you'll want in the long term, making the Arcade pack something of a false economy. Spend a little extra and you'll find the£170 60Gb Premium is all the console you'll ever need." "The new ERPs are part of Microsoft's ongoing strategy to open up the ultimate in high-definition gaming and entertainment to an even wider audience, with something for everyone," says the release. "Xbox 360 has now sold over 20 million consoles worldwide and duetoits unprecedented success, we are now able to pass on the rewards of that success to the consumer with a new retail pricing from £129.99", said Microsoft UK's Senior Regional Director Neil Thompson. "With more games, more entertainment with Xbox LIVEand now even more value, we are looking forward to welcoming more customers into the leading Next Generation console, Xbox 360." The European prices were also cut to Arcade (€180), Premium (€240), and Elite (€300). MIcrosoft also pushed its raft of titles for the months aheas, which include Gears of War 2, Fable II and the next movie tie in James Bond: Quantum of Solace. The price-drop from Microsoft is the latest move in a battle with Sony's PlayStation 3 for supremecy. The cheapest Xbox 360 is now less than half the price of Sony's higher spec console - but Microsoft's Xbox still offers HD graphics and many of the same games. Sony's PlayStation brand has built up a huge fanbase, and the forthcoming release of Little Big Planet will give its flagship console a massive push. But it remains to be seen if consumers will be willing to spend the extra money to go with PlayStation, or opt for the cheaper Xbox 360s.